Kuvasimme tänä kesänä kuusi innovatiivista kerrostalokohdetta Helsingin kaupungin Kehittyvä kerrostalo -hankkeeseen. Tämän viikon projektissa esittelemme valikoituja otoksia kuvauksista. 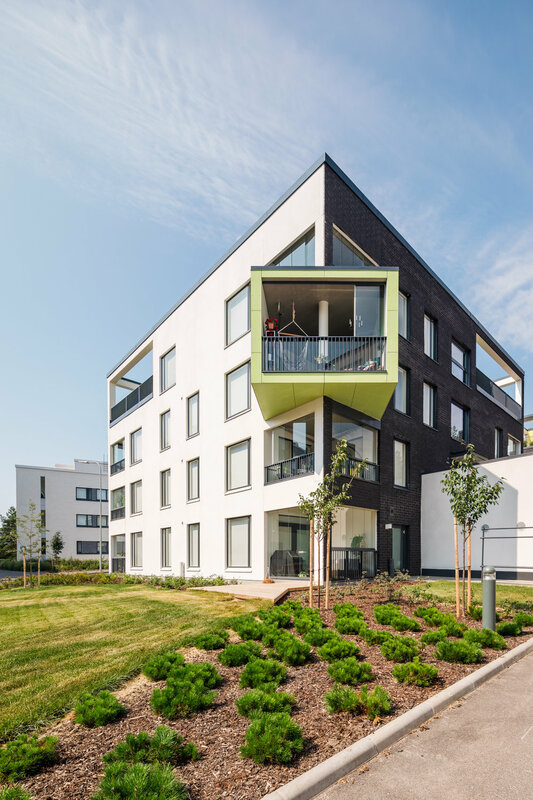 Helsingin Kompassi and Saukonpaaden Loisto are new apartment buildings in the growing neighbourhood of Jätkäsaari, Helsinki. The buildings form a modern and cohesive block that sits right by the sea in the tip of the Saukonpaasi cape. The stunning seaside location was not overlooked in the architectural design – the outer facades are filled with spacious balconies and big windows that maximise the spectacular sea views. 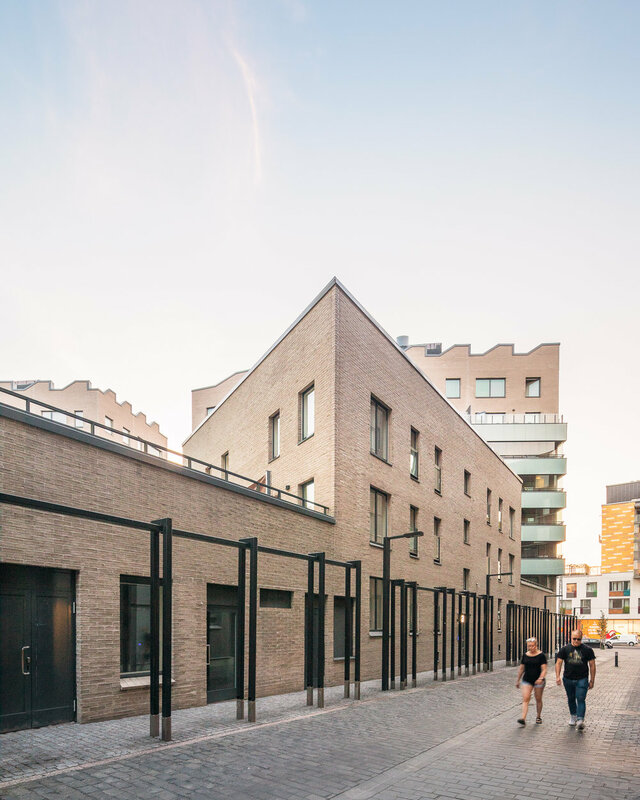 The yard between the buildings has been raised above the street level and it feels sheltered, inviting and urban. 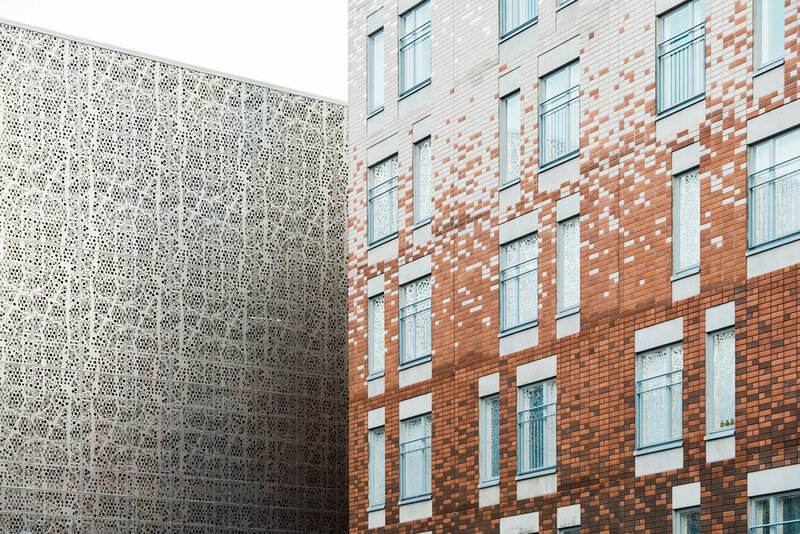 We were commissioned to photograph the buildings by B&M Architects who designed the Kompassi & Loisto block. 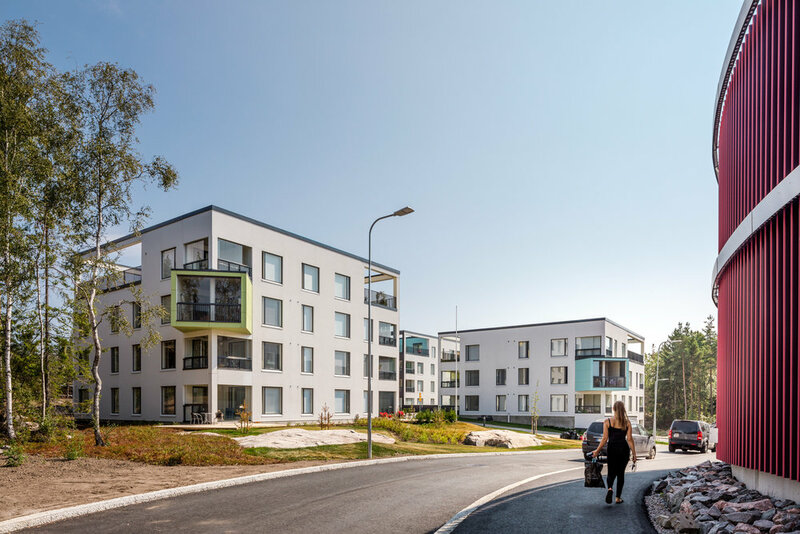 Kruunuvuorenranta, a new residential area in Laajasalo, Helsinki, is planned to become a vibrant urban suburb surrounded by nature. 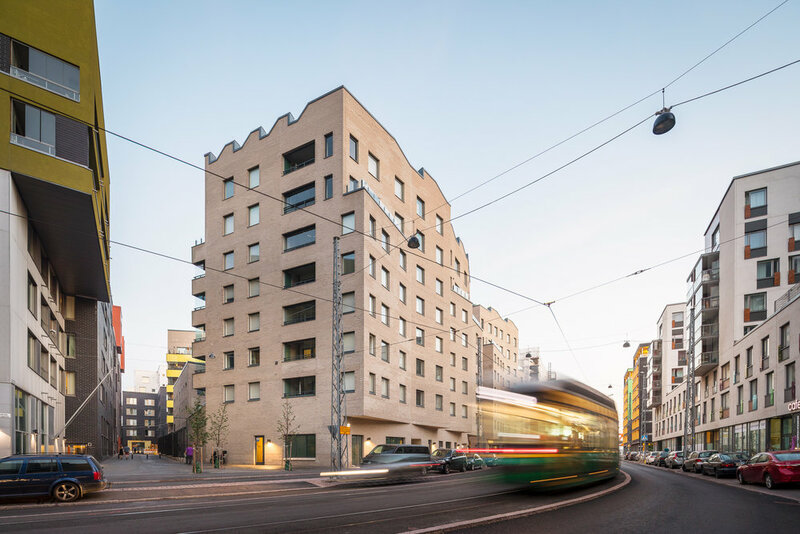 HASO Gunilla and As Oy Lorentzinpuisto are some of the newest additions to the developing neighborhood. HASO Gunilla was designed by Architects Brunow & Maunula and As Oy Lorentzinpuisto by Playa Architects. 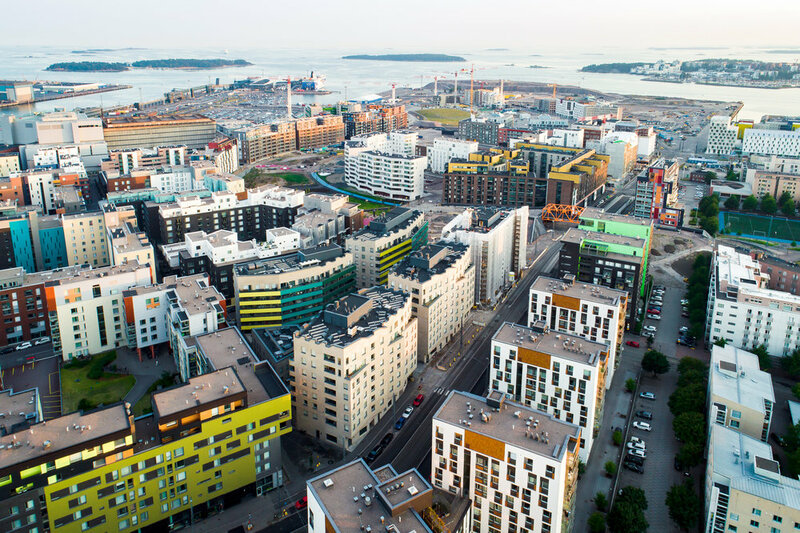 The apartment buildings were built for Helsinki’s housing production and they consist of 170 apartments. The diverse property is bordered by nature and brightened up by intricate light installations. We photographed the buildings for Skanska. 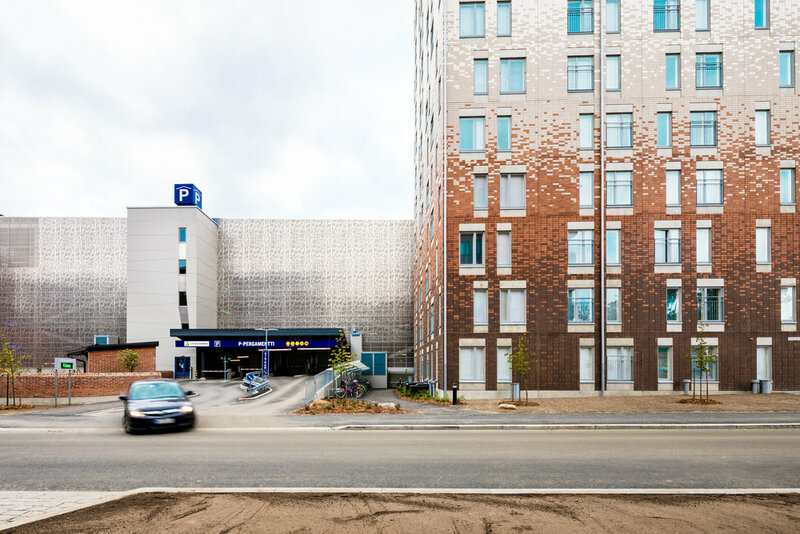 Helsingin Viuhka is an apartment building located right next to the Rastila metro station in Eastern Helsinki. The clever balconies give the building an interesting and graphic texture and make it a memorable landmark of the suburb. The tower block was built on a very tight and challenging piece of land and the successful outcome is a product of thorough cooperation. 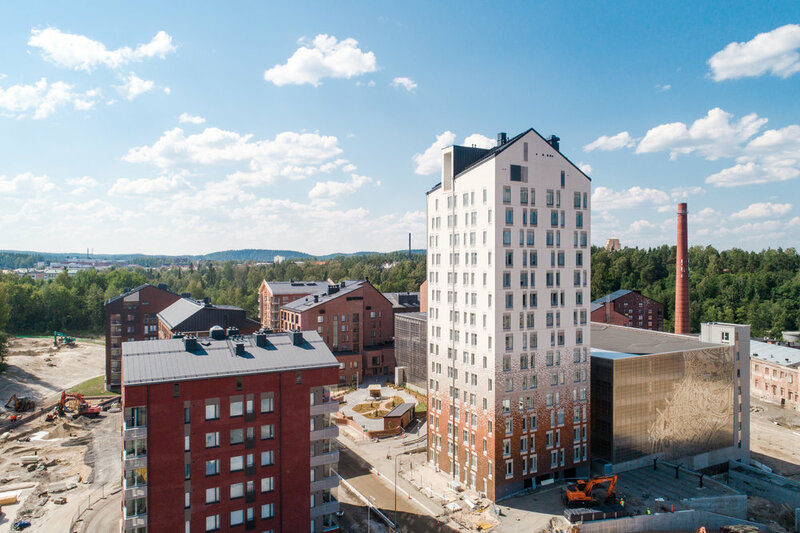 The hard work of the project participants paid off because Helsingin Viuhka was recently awarded the Concrete Structure of 2016 (Vuoden Betonirakenne 2016). Konkret Architects was in charge of the architectural design and we photographed the building for them. Satakunnankatu 21 is a housing block located in Tampere. 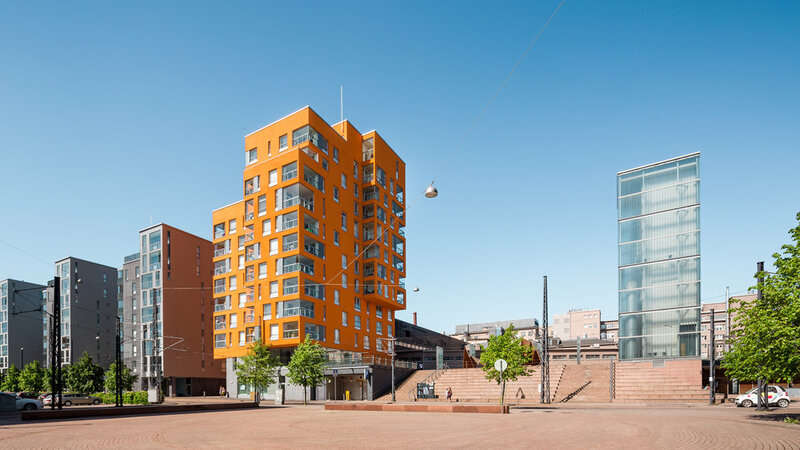 The playful building was designed by Lahdelma & Mahlamäki Architects. The building was completed in 2016 and it has 37 apartments. Placed in a street corner, it sits tightly between two older buildings and the vibrant yellow of the building brightens up the surrounding architecture. 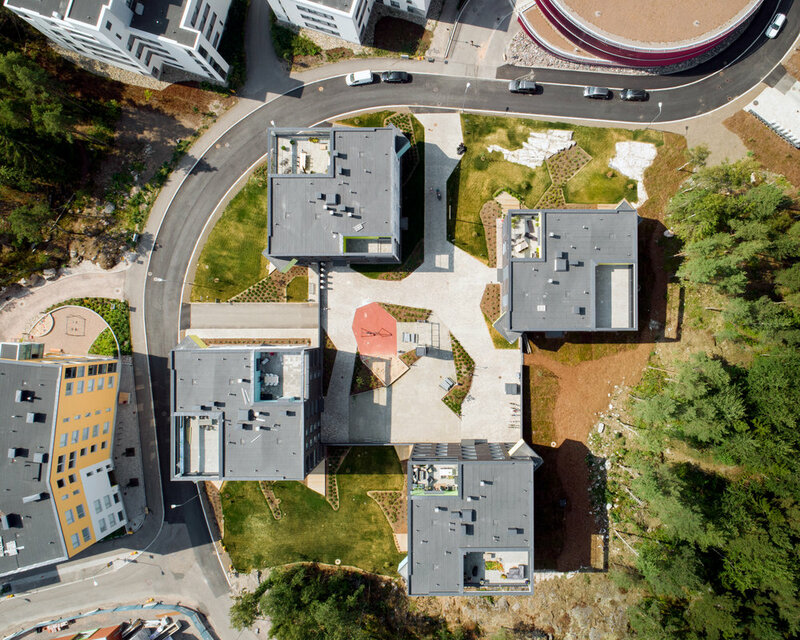 We photographed the playful housing block for Lahdelma & Mahlamäki Architects.